Our 16 oz. 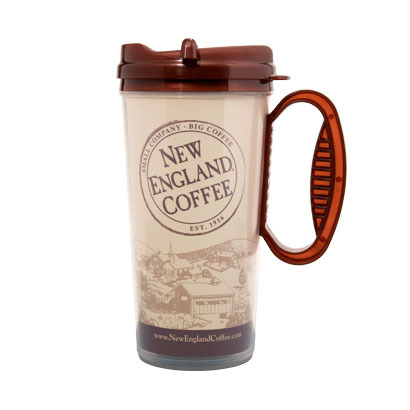 swivel lid style travel mug gives you a way to take our family tradition with you wherever you go. BPA Free, dishwasher and microwave safe. My mom thought this travel mug leaked, but she was not pushing the lid on hard enough. It will seal with a “pop.” 🙂 I am happy to report that the mug does not, in fact, leak. I was a bit skeptical about it being dishwasher safe, but so far so good! I have put it in the dishwasher several times, and it looks great! We discovered this mug in a small bakery while traveling in Ohio; it was part of a coffee purchase in that the mug came with the purchase of a cup of coffee. We liked the so much we went back and purchased a couple more. I am now ordering a few more online and will be getting rid of all others we own. 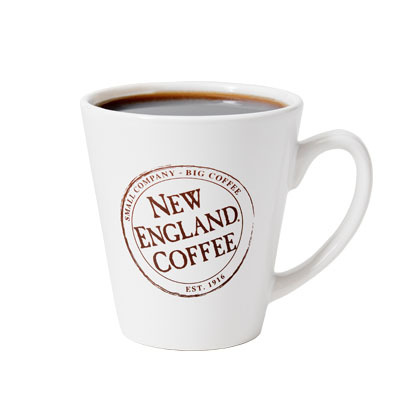 This travel mug is perfect size, light weight and great seal…we love them! 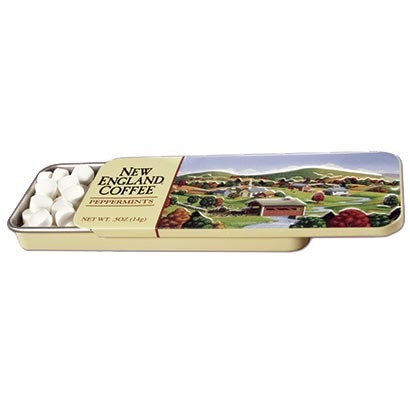 The coffee was also wonderful.